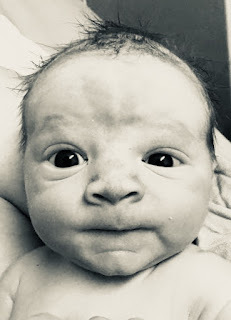 On Friday, while I was working in the OR, a medical student came to find me and told me there was a woman in maternity who was in cardiac arrest and needed reanimation. I went with them to find a woman lying lifeless in her bed. I told one of the students to start CPR and another to start an IV through which we could try to give her a dose of adrenaline. No one knew how long she had been in cardiac arrest. I opened the flashlight app on my iPhone and checked her pupils. They were fixed and dilated. I told the medical student to stop CPR. Her brain had ceased to function. This time death was irreversible. They called me because my title at Kibuye is “Réanimateur”, apparently “one who brings dead people back to life”. This is the francophone equivalent of anesthesiologist/critical care physician. Judging from my success rate, I would have to say, I am not very good at my job. I would like to create another name badge that is instead labeled “Déanimateur” and see if anyone notices. Success rates for resuscitation after cardiac arrest vary depending on where the arrest takes place. In the US, rates of success for out-of-hospital cardiac arrest are between 10 and 12%. In-hospital arrests fare a bit better, around 25%. That is in settings with defibrillators, powerful medications, and often teams of specialists. While I have been able to successfully “reanimate” some patients who arrested in the O.R., I believe my current out-of-OR success rate at Kibuye is 0%. And so, I am left to ponder the finality of death. Even after a successful reanimation, I have not reversed death, I have only postponed it, sometimes for a few days, in the best case scenario for years. But it will come, both for the patient and for me. Death awaits us all. And yet, our hearts hunger and thirst for eternity. Where did this hunger and thirst come from? If death is a natural part of life, why are we utterly devastated when it arrives, for us or for those who we love? And why have I dedicated my professional life to fighting against something that has already won? All this might cause me to fall into despair, but for the hope I have in the reality of eternity. I no longer believe that death is the end. I have placed my hope in One who can reanimate, with a success rate of 100%, and not for days or years, but for eternity. Most of the world’s religions claim that an eternal life with God is possible. However, most of those religions claim that we can achieve this eternal life by our own efforts, by following a list of do’s and dont's, by being “good enough”. But those of us who have tried to be “good enough” realize that we will continue to stumble and fall, that our righteousness cannot save us because we are too weak. But there is one faith that admits that we will never be “good enough” to merit an eternal life with God. And so, God entered into this world and lived that “good enough” life that we continue to fail living. And not only that, He exchanged His throne for a cross, on which He suffered and died. And through this substitutionary death, He created a way for all of us who are not “good enough” to merit this eternal life. It is no longer based on our merit, it is based on His. After His crucifixion and death, God in the personhood of Jesus Christ was raised from the dead, conquering death once and for all. This was witnessed by more than 500 people (see 1 Corinthians 15:6), many of whom went on to testify to what they had seen and many of whom were willing to be put to death because of their confidence in what they had witnessed. And now, thanks to His life, death and resurrection, death is no longer the end. It is only a portal, through which those of us who are not good enough can pass into a better, more beautiful, more joyful and eternal life with God and with His Son, Jesus. Death has been defeated through it’s own poison, which was swallowed up by God Himself. 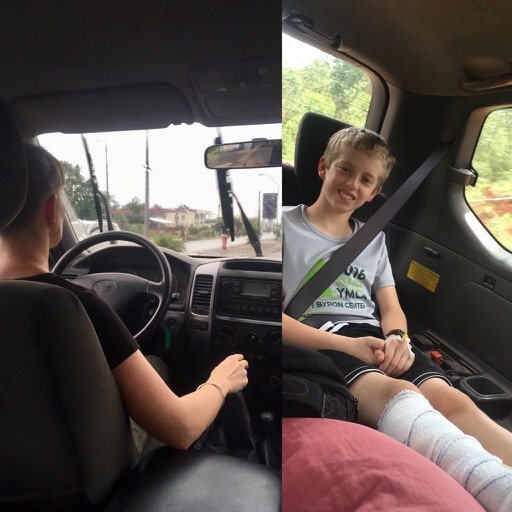 Stephanie wrote a while back about their misadventure on Burundian roads, but after our past weekend, it seems that there is (perhaps unfortunately) more to share. Our family is heading back to the US for a spell in about six weeks. As Rachel and I thought about it, we weren't at all sure that our kids had even gotten in a car since early January. 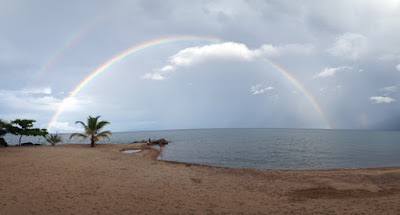 Such realizations can give one a bit of cabin fever, so we thought we'd have a family weekend down on a beach resort on Lake Tanganyika. Lesson 1: Even though something carries a national highway designation (and there isn't a level above this, though many roads are nicer) you cannot make assumptions. And a GPS on your phone is invaluable, but there should be limits to the extent you trust a road that you have not yet seen. But we arrived safe and sound, and were treated the following morning to one of the loveliest rainbows we have ever seen. Lesson 2: African beauty is all around us. Getting out can help us to see that, and we need to see it. The kids wanted to do nothing else but swim. We splashed and floated and played. We applied sunscreen liberally and then reapplied in an hour. And we promptly got burned. Lesson 3: White missionaries in equatorial Africa are among the pastiest white people you will meet. It's a little difficult to explain exactly why this is the case, but it is undoubtedly true. Maybe it's that we take the perfect weather for granted too often, or the cultural norms that cover most of your body most of the time. I don't know. But the combination of pasty whiteness with the intense equatorial sun means that there is nothing that you can do to sufficiently protect yourself. Two mornings later, and we're ready to head back to Kibuye. Despite being in the full swing of rainy season, our time at the beach was rain-less. Until we got in the car. Right around the time we hit RN 16 in all of its unpaved, rutted glory, the rain starts falling. We made a game of it. Whenever a particularly hairy section was coming up, we would tell the kids that we could do this only by "grunt power". Everyone in the car would then grunt loudly until we cleared the present obstacle. 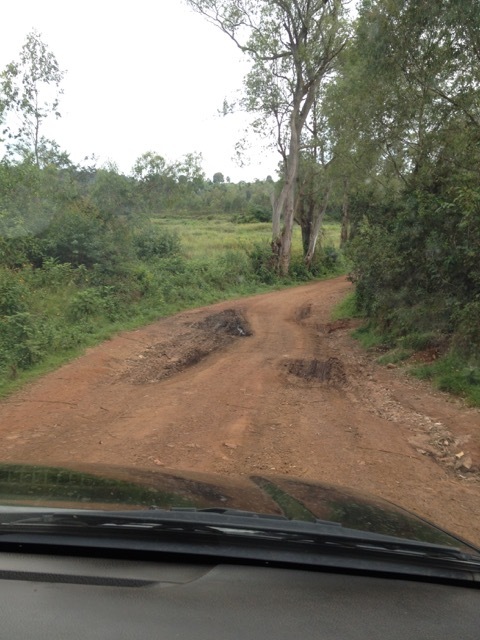 About two miles from the end of the bad road (and about 1 hour from Kibuye), we came face to face with an obstacle that no amount of grunting was going to help. A river was running across the road. It was solid water for about 30m across, and we had no idea how deep. The river was swift. 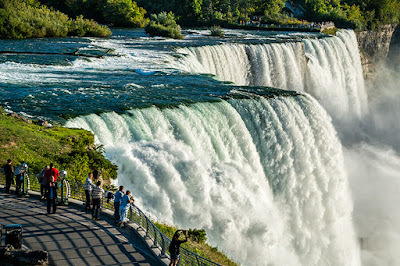 We stopped at the edge and studied it for a while. A couple guys with bicycles waded through the downpour. At least where they stepped, it came up to knee deep, and threatened to knock them over. Lesson 4: Hold your travel plans loosely and prioritize safety. After considering our options for about 20 minutes, we decided that this wasn't going to work, and proceeded to travel back on wet, bad (and increasingly dark) roads for the next 4 hours in order to get to the capital city, where our very gracious friends the Guillebauds put us all up for the night at the last minute's notice. Yes, we wanted to get back, and yes, we needed to get into work the following morning. But sometimes things happened. On the flip side, our trip back down the mountain did get us another stunning view (during a brief pause in the rains, see Lesson 2 above). 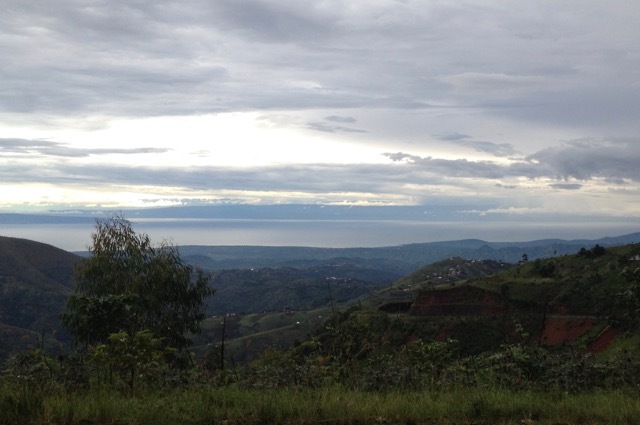 The hills of Burundi followed by the largest lake in Africa, followed by the Congolese mountains. So, this morning, after more than doubling our trip the day prior, we drove another three hours back to Kibuye, where we were delighted to be home. Six weeks until we get in a car again? Definitely doesn't sound too long. Lesson 5: The quickest way to solve your African wanderlust/cabin fever problem is just to go somewhere. Anywhere, really. As a final aside, whenever Rachel and I travel, we are struck anew at the difficulties people undergo to seek care at Kibuye. Burundi is a small country (about the size of Massachusetts), so to say that every week we get patients from every province in the country, that doesn't seem like too big of a deal. But it is not a uniformly accessible country. The areas that we were slogging through were the provinces and communes that usually elicit a "well, that is a bit far" response from me when I think about my patients. 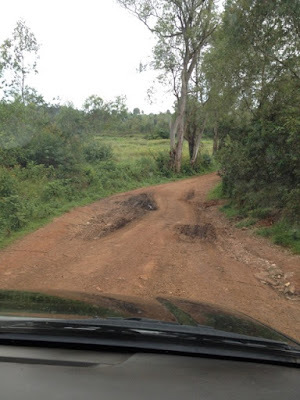 Lesson 6: Good roads are not just a matter of convenience. They save lives. Take a moment and thank God for the roads that you have. Though Christian community is described in Scripture, we often define it by our experience. In North American culture, community is most often made up of many different groups of people who represent different spheres of our lives. There are colleagues, church congregations, homeschool co-ops, play groups, and classmates with very little overlap between the people in these spheres of life. In Kibuye, however, community is different. We work with and for the people with whom we worship, converse with in our neighborhood, play with outside with, and (especially for our kids) go to school with. Sometimes, this reality is hard. Whether we admit it out loud to one another or not, everyone wishes for a bit of space from each other at times. That characteristic that grates on you in one person can become all you can see if you are not determined to overlook it. When conflict arises, it threatens all that we are as a team if it is not dealt with in a God-honoring way. There is no room for gossip or uncontrolled tongues. Living in community like ours can feel like a tall order. Recently, however, an event brought to light all the wonderful things about community like ours. When the child of a visitor became seriously ill, big decisions had to be made on behalf of their family. 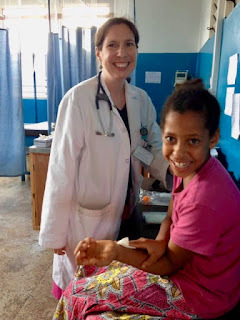 The care required meant that our team helped to pack suitcases, load cars, drive in a country they’d never driven in before, care for children that weren’t biologically theirs, substitute teach. In essence, our team had to sacrifice for love - for the love of a visiting family, for the love of one another. Difficult as this was, I was struck with how seamlessly it happened. In a matter of hours, each child had an adult to look to, classes were covered, medical care was given, a caravan drove to the city. No one complained - not even the kids. Everyone just did their part. Because that’s what community is: loving each other even when it is hard, even when it requires sleeping in a bed that isn’t yours or doing a task that is outside your wheelhouse or holding your tongue or overlooking an offense or comforting those in need - deep need. Living in close community like ours where everything overlaps and your neighbors are your church friends are your colleagues (or schoolmates for the kids) is challenging and unlike the community I am used to in North America. I suspect it is a challenge we’d all trade in now and then for something easier and more familiar. But, the beauty of this difficult and complex community is often exposed as it was in the particularly challenging time when the depth of care for one another shines through and even spills over into the lives of others. Isn’t this what Jesus has called us to? If we do, minister, heal, and educate without love, all our effort is for nothing. Please pray for our team as we live out this delicate thing we call Christian community. 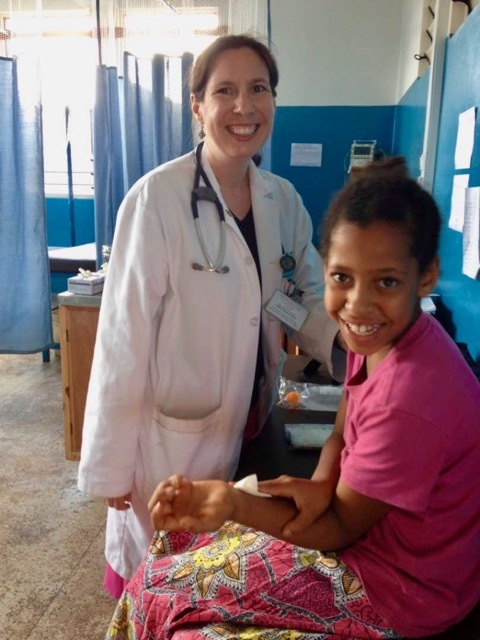 Similar to family life, each of us has team "roles" in addition to our hospital, school, and community work - tasks such as facilitating the weekly market order or the vehicle upkeep. One of my roles is to be team doctor. Usually that means handing out Zofran for stomach bugs, answering questions about malaria prophylaxis, or maybe putting steri-strips on a wound. 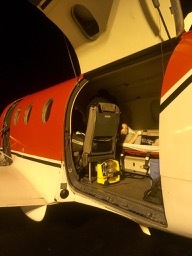 But last month our team dealt with an unexpected medical crisis for a visiting American boy that went way beyond minor! 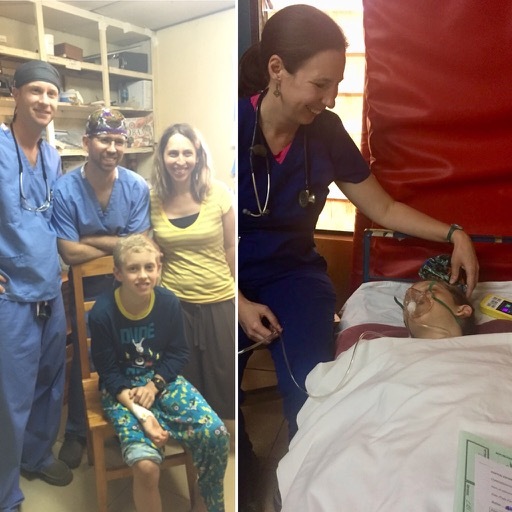 Cole was visiting with his family so his father, a surgeon, could help cover the surgery service for Jason. One day after running Cole complained of leg pain. As he was a healthy, active 12 year old, we didn't worry too much about it, but the visiting orthopedic doctor did check him out during lunch. The next day his leg was still hurting and he had developed a low grade fever, so we brought him up to the hospital for x-rays and lab tests. The x-rays were normal but the labs showed signs of infection and inflammation, so we started antibiotics. The leg still looked normal with no visible wound, swelling, or redness. The following day, however, he developed swelling in the leg and an ultrasound revealed a deep fluid collection near the bone. He definitely needed to have it drained in the operating room. We looked into sending him to Kenya for the operation, but it would be at least 24 hours before there was an available flight, and almost all the orthopedic surgeons we knew in Kenya were at a medical conference in Greece. We had a visiting American orthopedic surgeon at Kibuye, and he and Cole's father, also a surgeon, decided it was better to operate right away. Thankfully the surgery went well and the surgeons found and drained the infection near Cole's fibula. We now had a diagnosis: acute osteomyelitis (infection of the bone.) 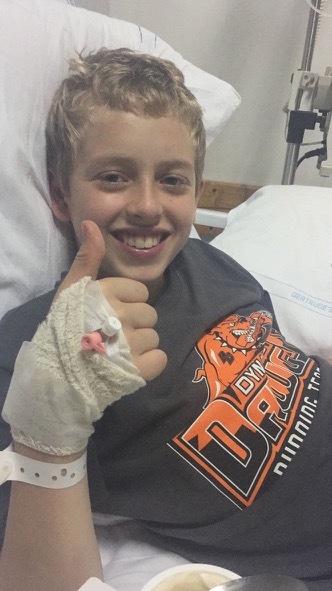 We hoped Cole would begin to recover with continued IV antibiotics. The next morning, Cole was sitting on the couch reading a book when I came to check on him and give him his antibiotics. I listened to his lungs and noticed crackles in the left base that weren't there before. Then we checked his oxygen level and discovered it was lower than it should have been. And then he had another fever and significant tachycardia (fast heart rate), too. These were all concerning symptoms and meant without a doubt that we needed to get Cole to a hospital with an available intensive care unit ASAP! We were concerned the leg infection was now in his bloodstream and he could develop septic shock as a result. This is the moment when the team mobilized into high gear like a well oiled machine. We were few in number as most of the doctors were at the medical conference in Greece, but everyone remaining dropped everything and came running to do the work of many more people. These are the folks you want by your side in a crisis! As Cole's dad spent hours on the phone with the med-evac company, the Serge Kibuye team packed up all the suitcases for the family of 7, looked at flights and arranged guesthouses for the mom and other four children in Kenya, drove cars (including a makeshift ambulance for Cole, his dad, and me) to Bujumbura, made lunch and fed all the kids, facilitated quick goodbyes, texted our Kenya connections to receive the family in Nairobi, connected with Kenyan doctors/hospitals, and of course monitored and cared for Cole. He got worse with a medication reaction just before we got into the vehicles to head for Bujumbura but thankfully responded to a breathing treatment. Susan driving our "ambulance." A definite answer to prayer is that Cole actually started feeling better, and his oxygen levels increased as we drove down the hill towards the airport. The lower altitude and the vancomycin helped, but mostly people were praying around the world! Thank you! 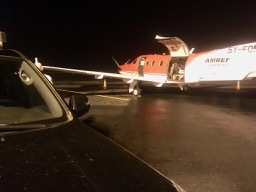 We waited for the airplane with our Serge teammate and peds ER doc Randy Bond, and thankfully Cole remained stable in the interim. Again Serge teammates served the family by caring for Cole's siblings and mother until their flight the next morning. Cole thanking the Kibuye kids for their Get Well cards. Even the kids prayed for Cole and cared for him! Thinking of Cole on Good Friday brought new meaning to Isaiah 53:4 where we learn that Jesus carried our pain and suffering. And that hope encourages me as I think of the pain and suffering my Burundian patients face as well. We all wait for the day when all things will be made new and there will be no more sickness or suffering or pain. In the meantime, I'm thankful to be waiting with my amazing friends and teammates! It is with great joy that I get to introduce the newest member of the Serge Kibuye team: Jonathan Nelson Fader. Jonathan was born on March 27that Kijabe Hospital in Kenya under the excellent care of Dr. Catherine Chen. Dr. Chen also delivered our other two boys: Liam in Chicago and Gavin in Kijabe. Krista explained how this unusual circumstance came about in a previous blog. We are currently still in Kenya awaiting Jonathan’s passport and enjoying the new dynamics of having three boys. Rejoice with us as we thank God for this good, good gift.